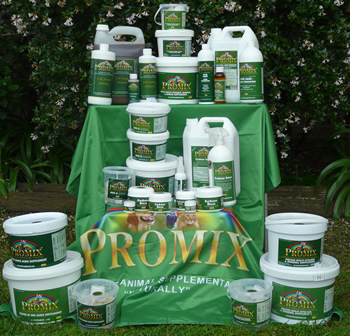 PROMIX – The Total Deal for Your Animals Vitality! 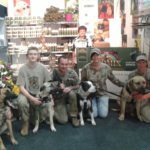 For 6 years we marketed a few of the top animal supplements all over SA. Whilst some supplements were only fair, a couple were really excellent. Unfortunately those few were home produced with little to no ingredient control, sterile conditions or proper mixing capabilities. In the year 2000 we took the initiative and combined the best of them in consultation with leading animal nutritionists; we refined and tweaked the products to formulate a truly balanced, complete and natural Multi Vitamin, Mineral & Amino Acid Supplement. We then secured a leading ISO 9000 animal pharmaceutical company to manufacture our products and applied for ‘V’ No’s and Department of Agriculture approval. 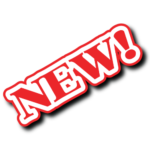 Our marketing philosophy is making lots of littles, to keep the price affordable to all. 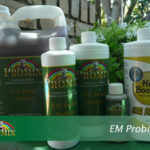 The overall object of Promix is to have a complete supplement, with the maximum allowed dosage per day, adding no chemicals or drugs and only an organic preservative and flavouring when needed. 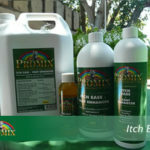 All we need now is to get these excellent supplements into your animals, to visibly prove our claims to you. 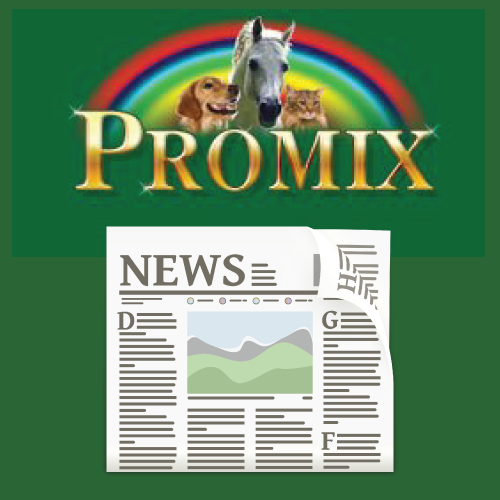 Established in 2000, Promix Animal Supplements has fast become highly sought after both locally and internationally….. 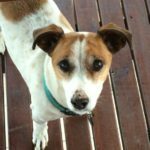 The secret to good nutrition is not how many nutrients are present in a supplement, but rather how available they are and how efficiently they can be utilised when digested. Never add hot water to feed, heat destroys vitamins. Never leave supplements in the direct sun. The quality of the animals coat, is a good indicator its overall health.